Young Thug says he would have taken action if he were in the area. Last night, Nipsey Husslepassed away after being shot six times in front of his Los Angeles store on Crenshaw and Slauson, leading so many of us to send prayers and condolences to his family, friends, and Lauren London. We can't imagine what his loved ones are going through right now. The 33-year-old was in the peak of his career, dropping his Grammy-nominated album a year ago and becoming one of the West Coast's legends through his hard work and dedication. 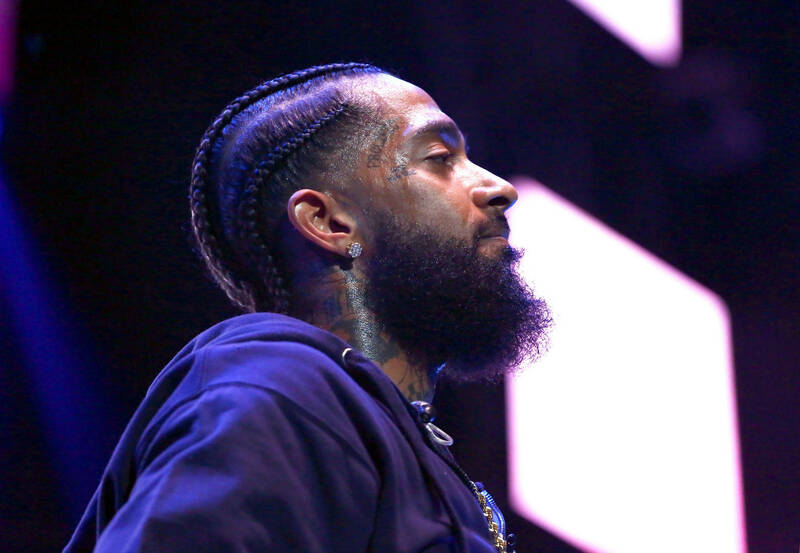 Nip's peers have been reflecting on his legacy all day and Young Thug made sure to speak out about the rapper, claiming that he would have been aiming his gun at the triggerman had he been at the store. Hussle was murdered outside of his Marathon shop in Los Angeles and Young Thug wants everybody to know that he would be happy taking a charge if it means Nipsey gets to live. Unfortunately, that's not how reality works but if Thug had his way, he would be in a cell right now for killing the man who shot at Hussle. "Glad I didn’t make it to the store, would’ve been locked up for a murder," he said. This is one of the most provocative responses so far with most people choosing to focus on the positive things Hussle accomplished in his life. Thugger would rather keep his mind centred on revenge and what he would have done had he been with Nipsey at the time of the shooting.